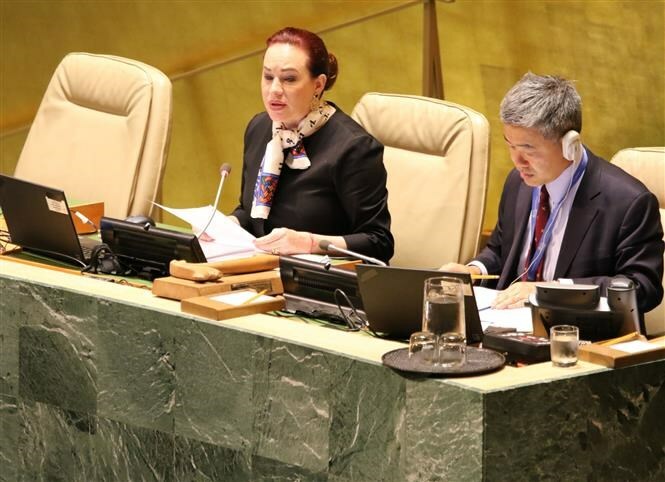 The United Nations General Assembly on September 21 held a one-minute silence in memory of President Tran Dai Quang. 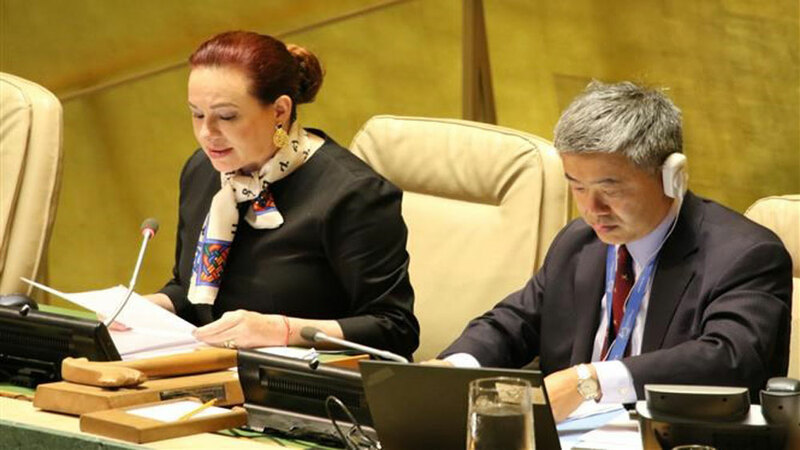 President of the United Nations General Assembly’s 73rd session Maria Fernanda Espinosa Garces informs the death of Vietnamese President Tran Dai Quang. (Photo: VNA). 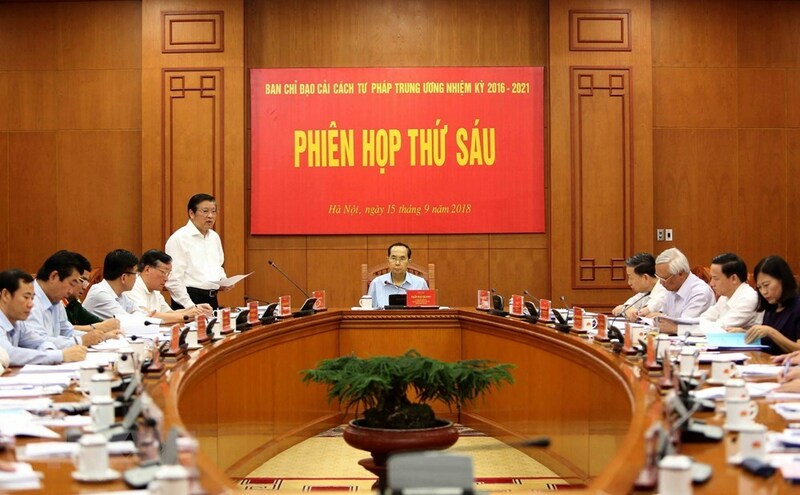 She sends her deepest condolences to President Quang’s family, Government and Vietnamese people (Photo: VNA). 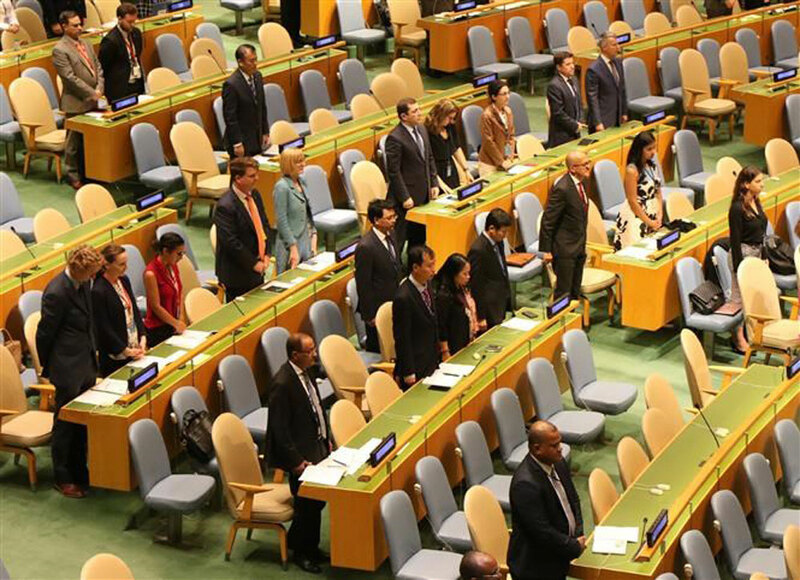 Representatives of 193 UN member states stand in silence in memory of President Tran Dai Quang(Photo: VNA). 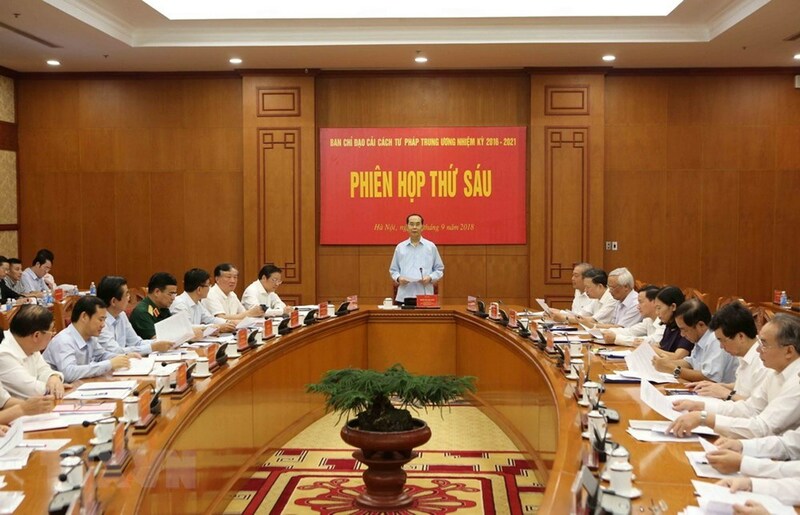 Only a few days before his death, President Tran Dai Quang was busy with important activities in the role of the President of the Socialist Republic of Vietnam (Photo: VNA). 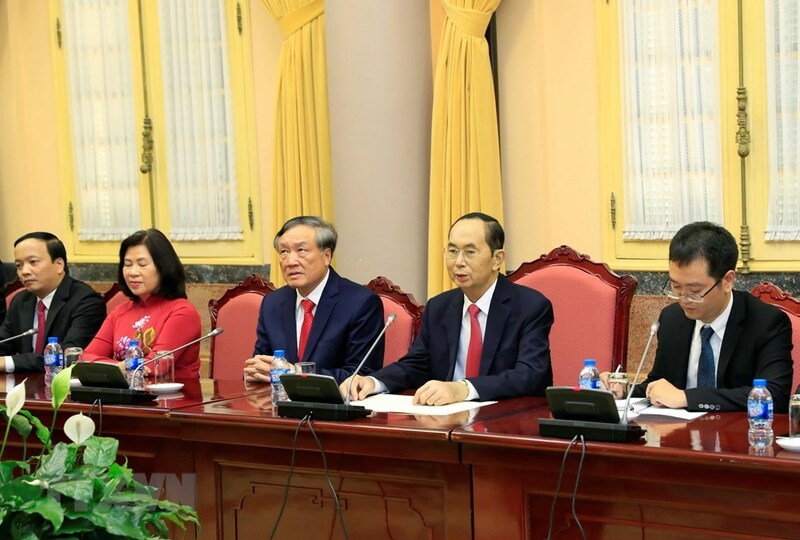 President Tran Dai Quang chaired the sixth meeting of the Central Steering Committee for Judicial Reforms on September 15. (Photo: VNA). 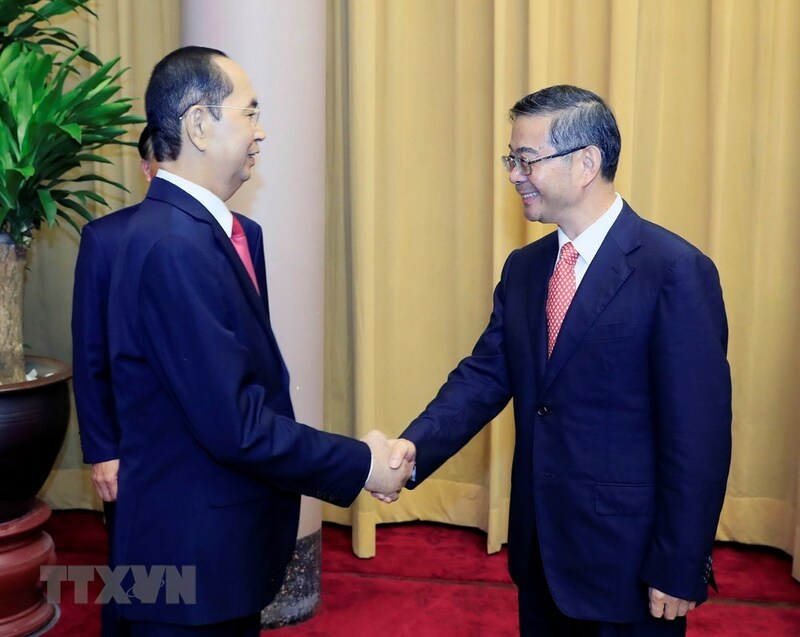 President Tran Dai Quang hosted a reception for Chief Justice of the Supreme People’s Court of China Zhou Qiang in Hanoi on September 19. (Photo: VNA). 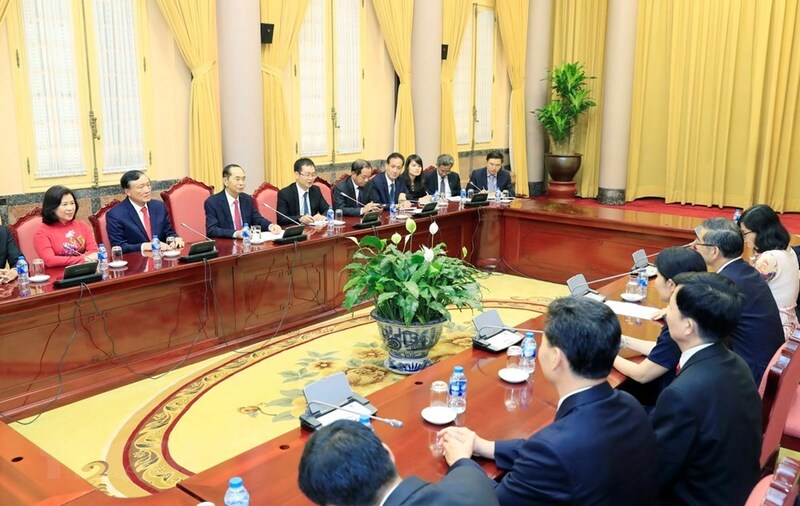 President Tran Dai Quang at the meeting with Chief Justice of the Supreme People’s Court of China Zhou Qiang (Photo: VNA). 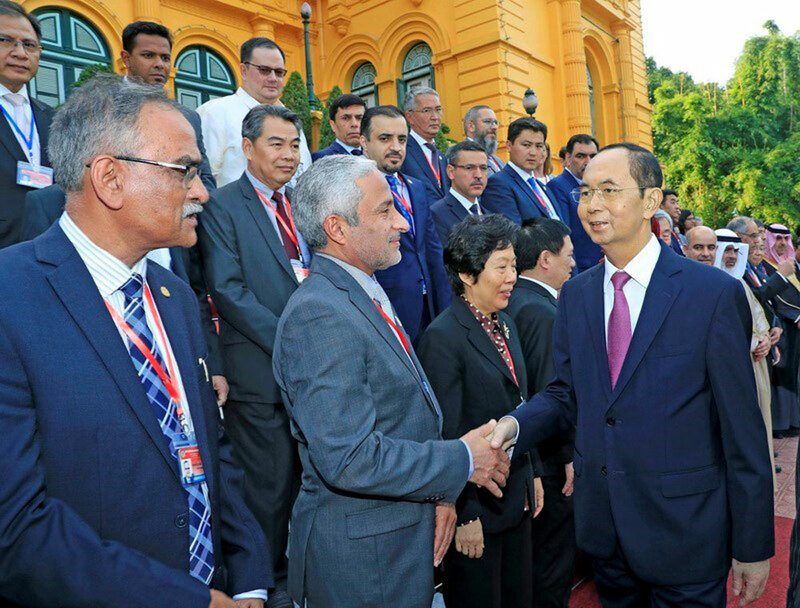 President Tran Dai Quang received heads of delegations to the 14th Assembly of the Asian Organisation of Supreme Audit Institutions (ASOSAI 14) in Hanoi on September 19. 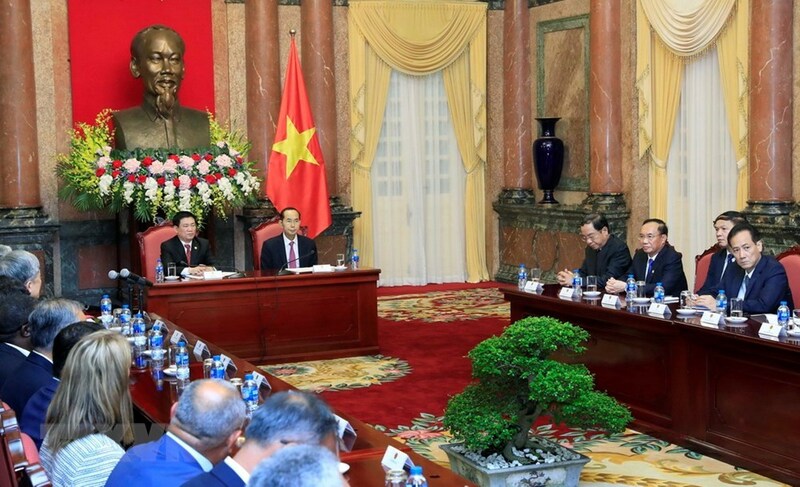 President Tran Dai Quang at the meeting with heads of delegations to the ASOSAI 14 in Hanoi on September 19. Source" VNA. 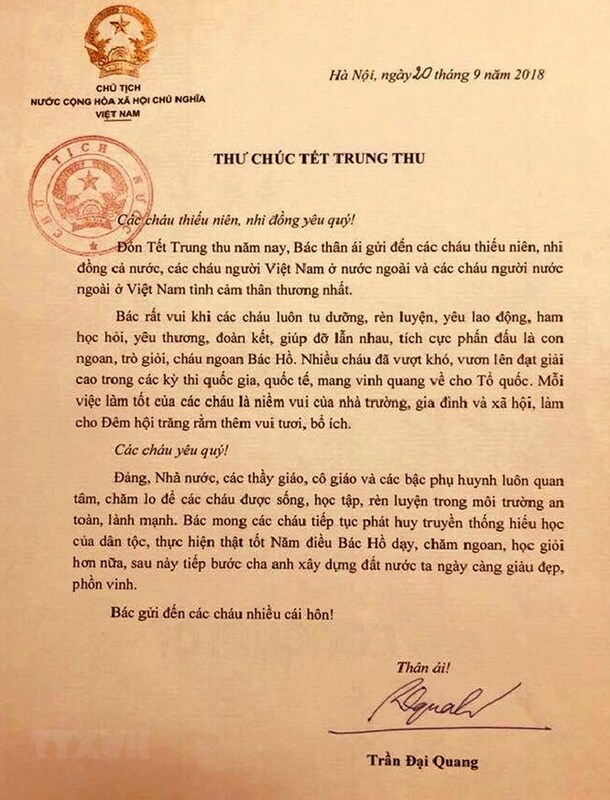 President Tran Dai Quang on September 20 sent a letter to children nationwide to wish them a warm mid-autumn festival. (Photo: VNA). Member of the Politburo of the Communist Party of Vietnam Central Committee and President of the Socialist Republic of Vietnam Tran Dai Quang passed away at 10:05 am on September 21 in Hanoi at the age of 62.